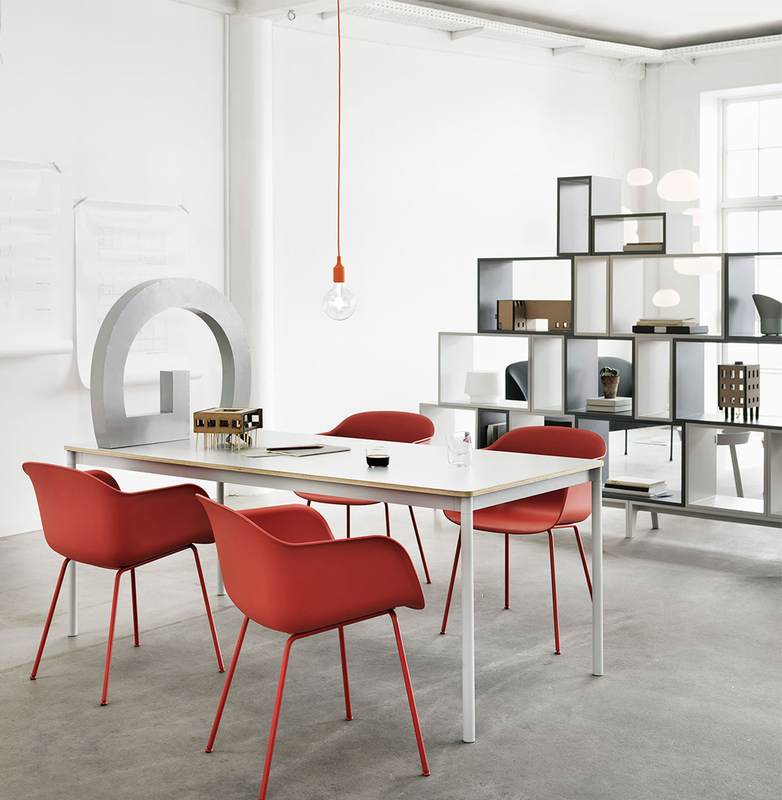 Some names need no explanation nor tag lines - one of them is Muuto. 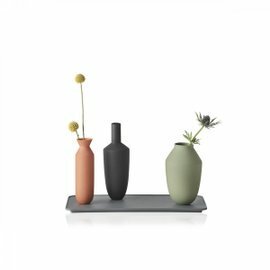 With its clean lines, pastel colours and sophisticated yet super-functional solutions, this Danish brand rewrote the rules of contemporary design, revolutionising our perception of domestic spaces. Its name comes from a Finnish word - muutos - meeting perspective. 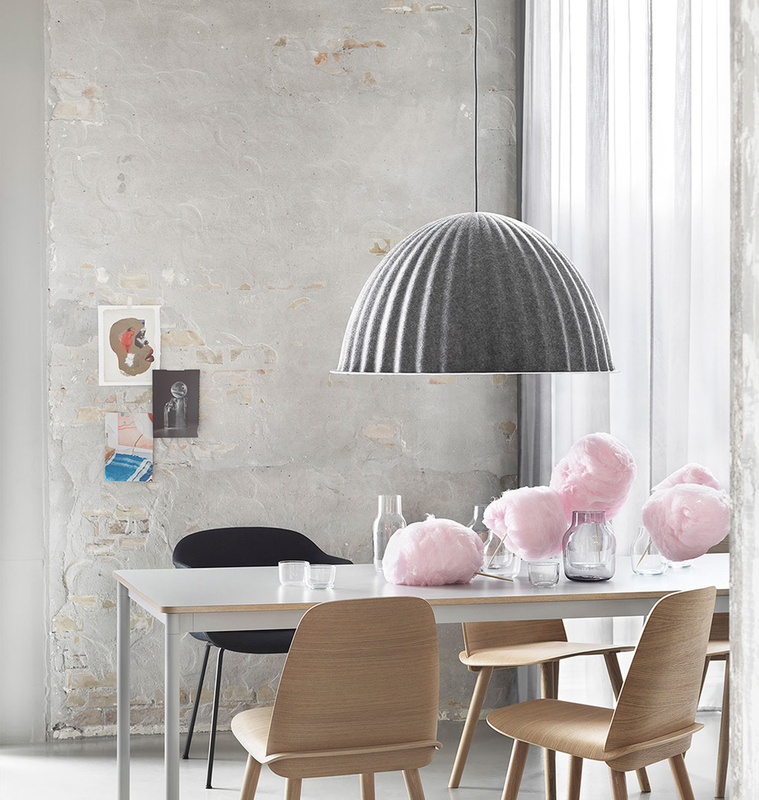 And this is exactly what Muuto means to do - to give you a new perspective on everyday life through its unique designs. 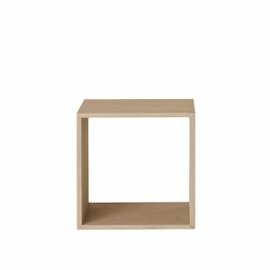 March brought many new arrivals to LOVEThESIGN, including tons of new items by Muuto. Ready to discover them all? 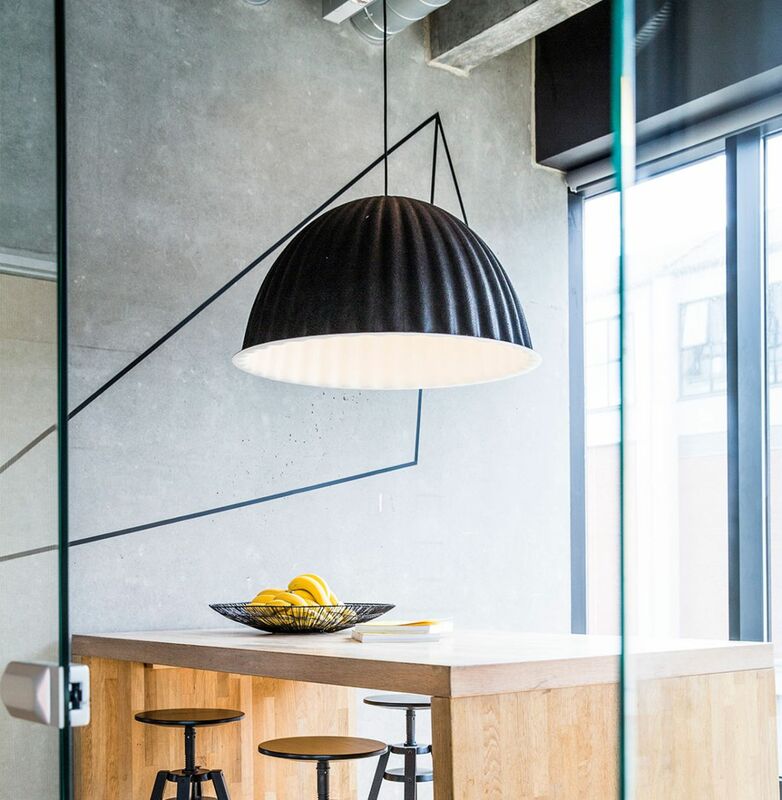 The combination of the molded cupola shape of Under The Bell and the acoustic properties of the material used in its construction insulate the space under the bell, building a “room of sound” around the table. 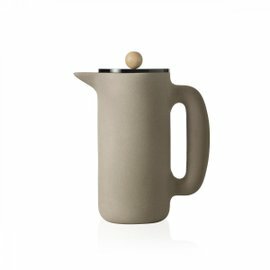 Under the Bell is made with 100% recyclable PET fibre, a large part of which is made from used plastic bottles. Transforming products with a short lifespan such as plastic bottles into products with a long life span such as Under the Bell is known as “upcycling“. When designer Julien de Smedt first began working on a concept for shelving for Muuto in 2008, he was in the middle of installing his own wall of shelves at home. They were shelves he had collected throughout his life; from different places, from his childhood and his grandparents, etc. Julien decided to compose a huge shelf stacking all of these different sizes and style elements. It became the inspiration for Stacked. From the beginning, the aim was to design something that was able to be both specific and generic at the same time. 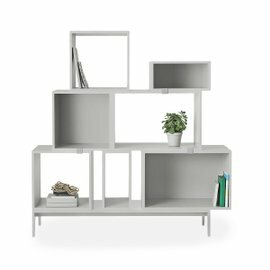 Julien and the Muuto team decided to dimension shelving units based on the generic measurements of things to store and display while creating room for them to be combined according to specific needs and desires. In the end, 3 different sized modules were chosen. The development of the clips was a very important step and an essential piece that contributes to making Stacked what it is. The clips allow the modules to be built on top of each other in a very stable set-up and make sure they stay aligned. 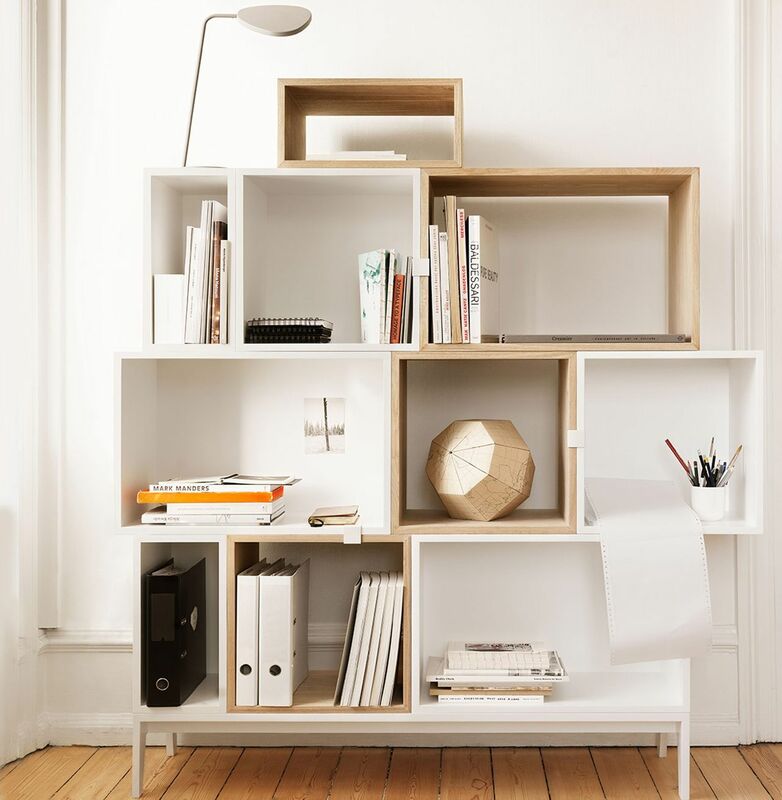 Julien and Muuto also developed a clever wall mounting system for the Stacked modules with backboards. This really meant that there were now endless possibilities for designing all sorts of storage set-ups. 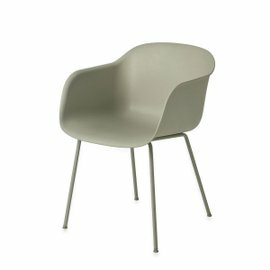 Muuto’s Fiber Armchair is produced from an innovative balance of bio-composite materials. 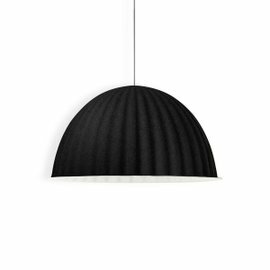 The design aim was to match its distinct shape with a new material utilising the aesthetics created by the structural effects of wood fibre. 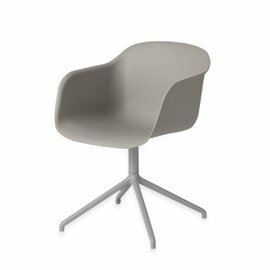 The entire journey from design to final production of the Fiber Armchair took around two and a half years. More than a year of the process was dedicated to searching for the perfect mix of wood plastic composite in the shell’s construction. After repeated testing, it was finally clear that up to 25% wood fibre proved to be the perfect amount. The finished recyclable composite is long lasting and a Fiber Armchair can theoretically be remoulded after a number of years without adding new material. Colour differences in the natural fibres can occur if the pine trees are sourced from as little as 500 metres apart. This means each Fiber Armchair is given its own distinct identity as variations in surface and colour can appear.